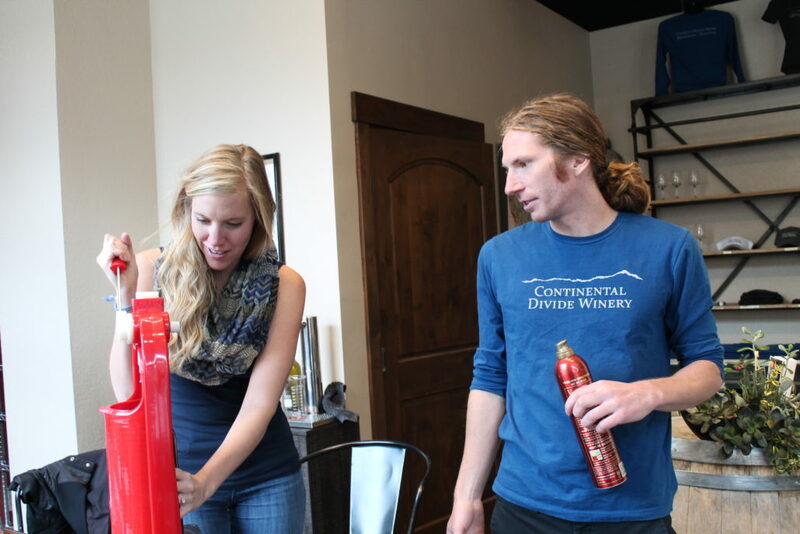 Continental Divide Winery (CDW) had their Grand Opening on December 22, 2016, and has been thriving ever since. Visitors looking for a new experience while in Breckenridge should head on over to see the staff at CDW. 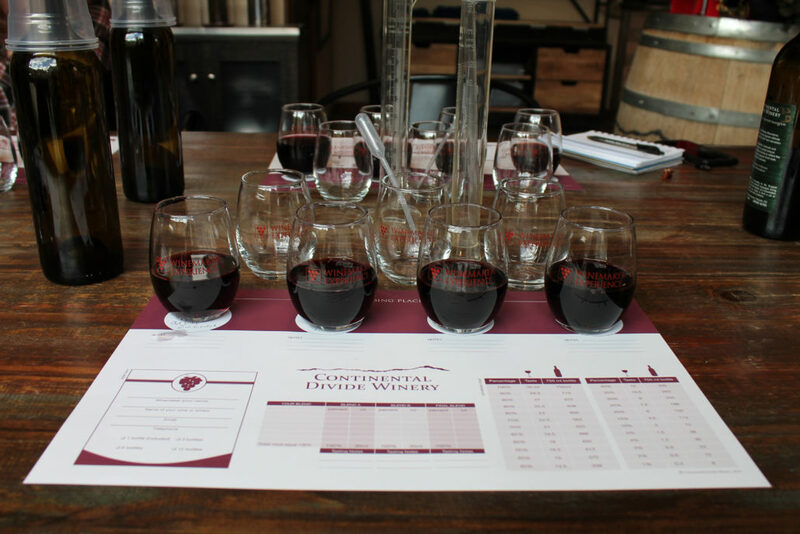 Offering wine blending parties, wine tastings, and blind tastings, there are options that range from 30 minutes to 2 hours of your time. Note: All tastings and blendings are done with red wine. Walk-ins are welcome but a reservation is recommended for wine blending. 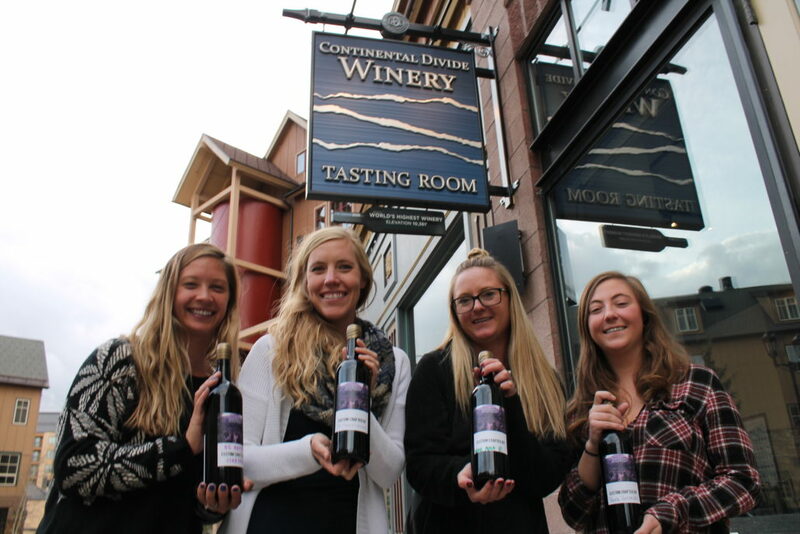 Our staff at Best of Breck took it upon themselves to do some of the heavy lifting and are here to report that the experience at Continental Divide Winery is one that shouldn’t be missed. So without further ado, let’s dive into the wine blending experience. 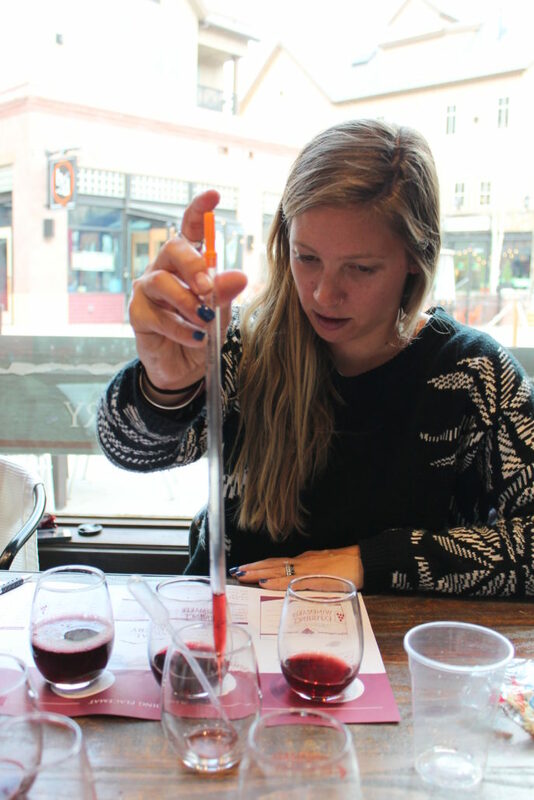 So, what IS wine blending and what does a wine blending party look like? Wine blending is blending two or more wines together to create your own unique blend. With the help of an experienced winemaker (we loved Andy! 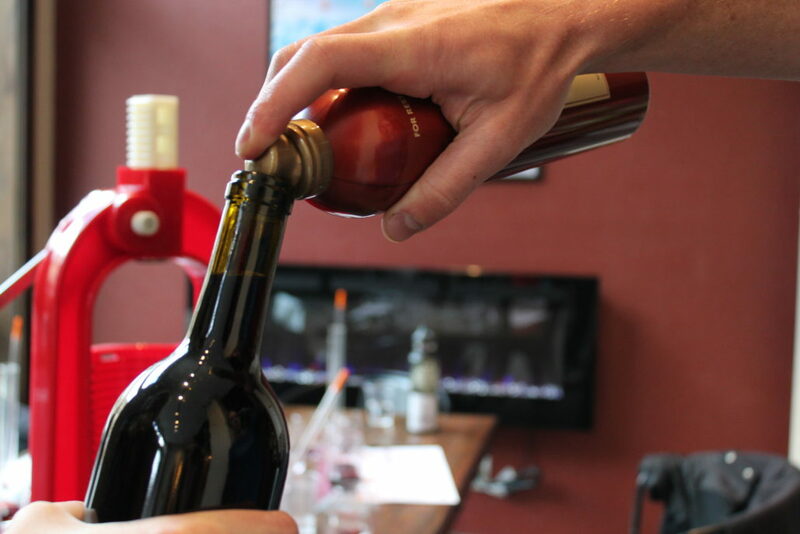 ), you will blend, bottle, label, and cork your wine. YES, you get to take your bottle with you! Think of it as a little keepsake of your trip to Breckenridge. Sitting down you will notice a welcome placemat that is used to write down notes. As customers go through the experience of tasting different wines it is highly encouraged to talk about color, smell, and taste. 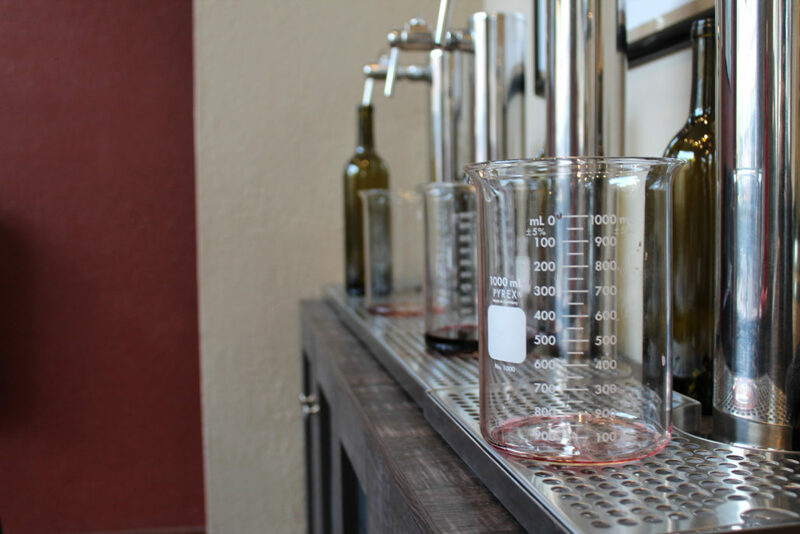 Next, using authentic vintner equipment, your winemaker will give you instruction on how to measure, test, and taste your custom blends. 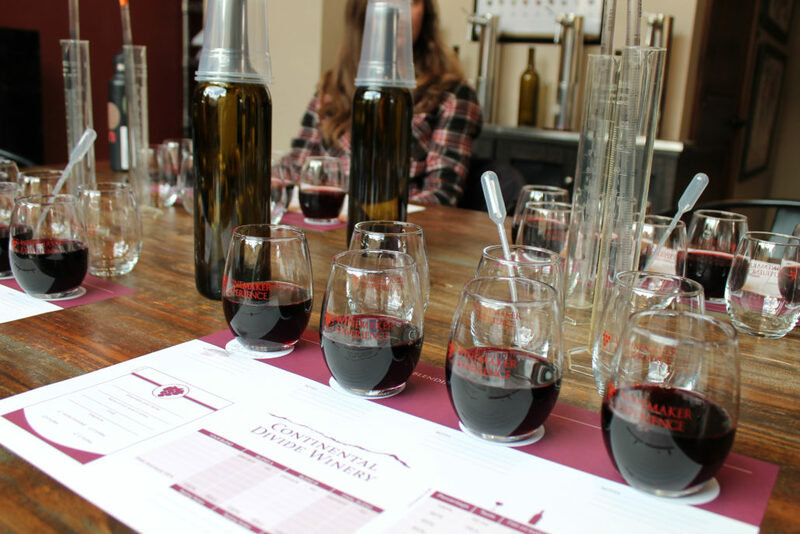 Lastly, out of the three blends you create (you can always create an extra if you didn’t get it just right), guests choose their favorite blend which they then measure and pour into a wine bottle. Cork it and create a custom label and voila! You’ve just created your first wine blend. 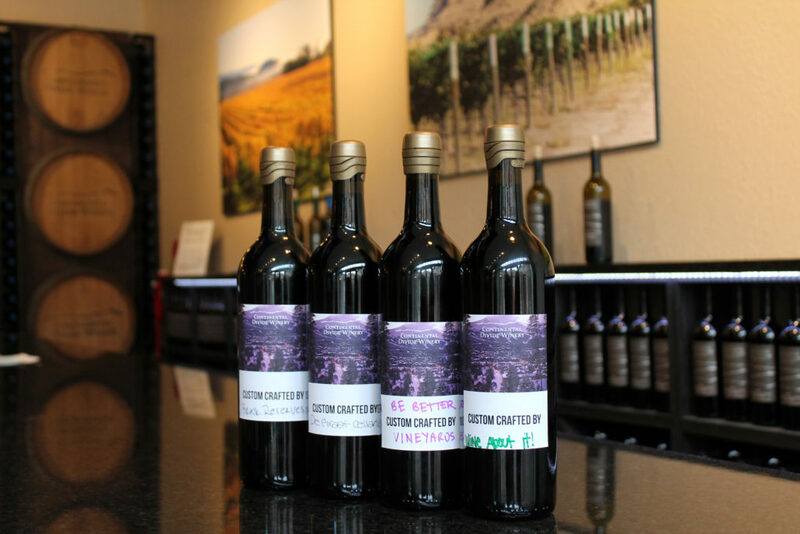 Delivering an experience that is very hands-on, interactive, customizable and catered to your personal preference in wine, our staff is confident that you will have a top-notch experience. It is a great way to spend a few hours with friends or family, especially on those cold, cold Breck days. Furthermore, CDW is able to accommodate up to 16 people at a time, making this a great activity for bridal/bachelorette parties, a girls getaway or large family outings. Just looking for a date night? CDW books couples looking to celebrate an anniversary or date night quite often, but know that you may join another party if the table isn’t full. Note that those chemistry and math classes you took in high school might come in handy. Additionally, this is a great exercise in learning to taste wine and start to develop a palate. Lastly, the friendly staff at CDW recommends taking a shuttle and/or walking to the blending experience. While customers are not chugging bottles of wine per se, you do sip quite a bit within the 2-hour range. Not staying within walking distance? Check out our handy blog on how to get around Breckenridge. 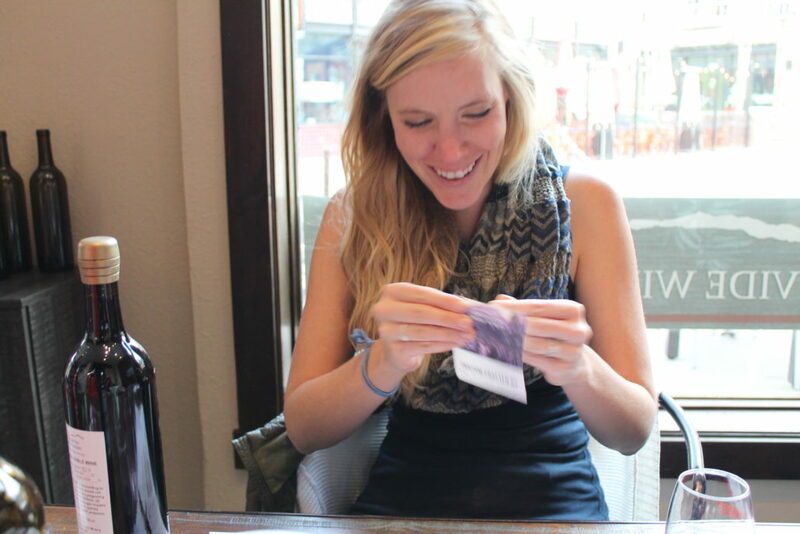 Wine Tasting: $10 for 4, $15 for 6, $20 for 8, or request a blind tasting. 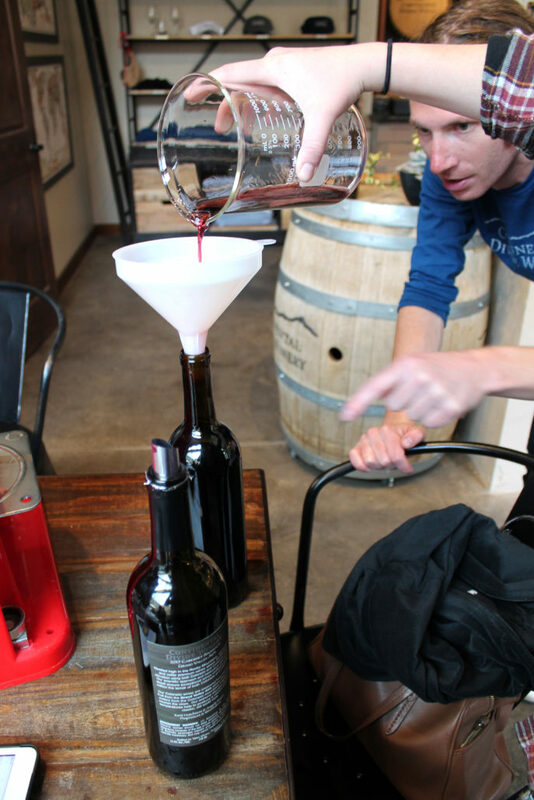 Tasting Room: Open Daily: 12:00 p.m. – 7:00 p.m.
Wine Blending Parties: Sunday, Monday, Thursday or Friday: 2 p.m. or 4 p.m. Blending Unavailable Saturday. Check CDW out on Facebook and Instagram!